Small Business Local Internet Marketing. Competition is fierce. You need to play by the new rules of the game if you're going to be successful in today's market. 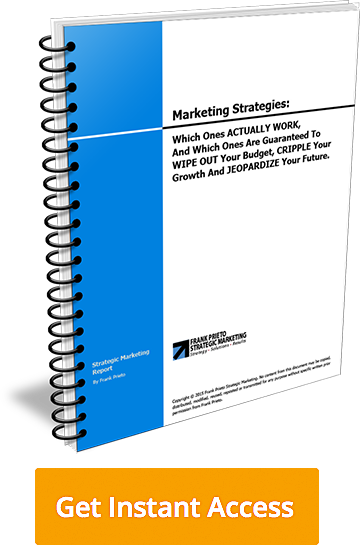 You have to understand strategic marketing to know what works, what doesn’t, and how to fix it. 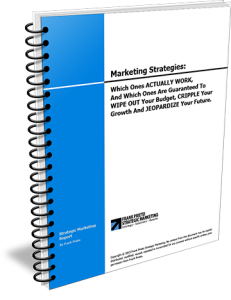 To discover the secret formula behind Scientific Advertising and how it can help you increase your business dramatically, get my FREE Report titled: MARKETING STRATEGIES: Which Ones ACTUALLY WORK, And Which Ones Are Guaranteed To WIPE OUT Your Budget, CRIPPLE Your Growth And JEOPARDIZE Your Future. The difference between "Strategic" and "Tactical"
© 2015 LocalMarketingToday.com • All rights reserved. • No content on this site may be reused in any fashion without written permission from LocalMarketingToday.com. Frank Prieto Strategic Marketing, Inc.